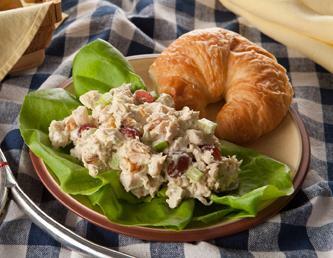 This delicious Chicken Salad is so easy to throw together when you have these delicious seasonings on hand! Directions: Combine Wind & Willow Cheeseball Mix (topping used later) with 1 cup mayo and set aside. Place shredded or cubed chicken in a mixing bowl. Fold in mayo mixture, celery, walnuts, grapes, and 1/2 of the topping. Sprinkle remaining topping over chicken salad to garnish. Refrigerate until ready to serve. Serve on croissants or bread of your choice. – For a healthier version. Substitute the mayo with Greek yogurt! – Serve on small toast points or dinner rolls for a quick appetizer.